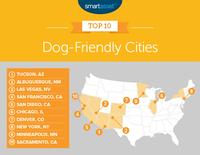 In its third annual study, SmartAsset uncovered the most dog-friendly cities in America and Albuquerque ranks in the number two spot! Albuquerque has some of the most dog-friendly infrastructure in our study. With 2.3 dog parks per 100,000 residents, 171 dog-friendly restaurants and three dog friendly shopping centers, Albuquerque ranks no lower than 25th for our dog-related metrics. The city also ranks in the top 20 for its low precipitation, so it’s unlikely any sudden rainstorms will ruin your dog-walking plans. 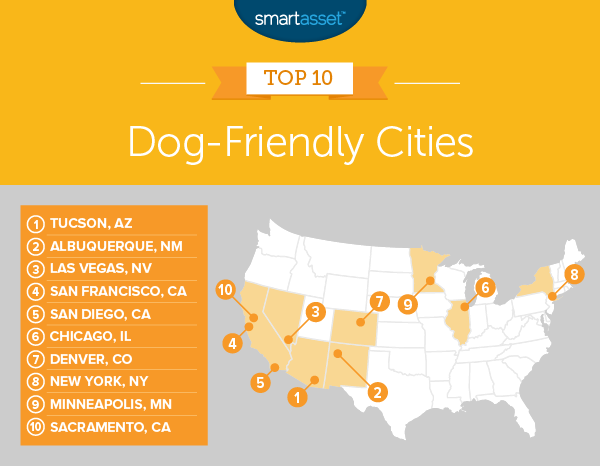 View details on the study, including full methodology and rankings, at https://smartasset.com/mortgage/most-dog-friendly-cities-america-2018.